Fearless Expression workshop is up and running since 29 of February and new students are coming in every day. We have lots of magnificent art created by very talented artists. 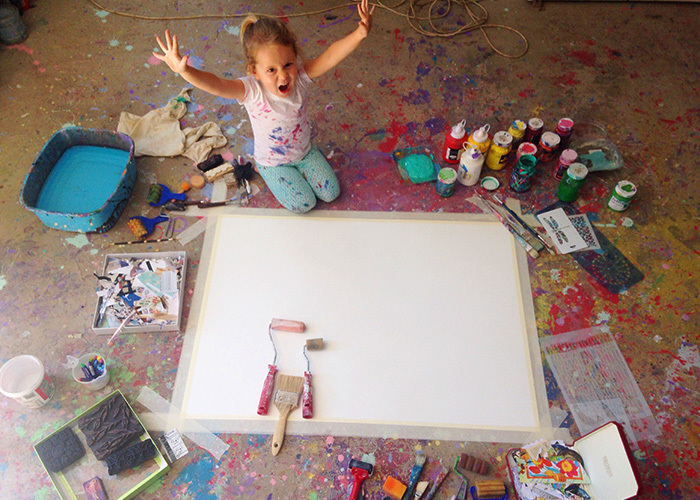 There are fabulous works of arts done with kids, and one mother have done it with each of her 4 kids! And there are really beautiful works of art produced by artists by themselves, without children, using fearless techniques learned from Tallulah and me. Below are some of the students works, and there are so many more, I wish I could proudly display them all here, but in this case the page will go on an on! If you are still thinking about signing up, it's absolutely not too late. I am here for support and daily check our FB group to comment on new entries. Everyone in the group is very kind and gentle with comment, we get encouragement from each other daily. Registration page is HERE. To read more testimonials please CLICK HERE.